German vehicles in factories or prototypes used for tests are some of the most popular themes for many modelers. These vehicles were painted in a reddish brown color that would vary depending on the factory; it served as a primer and in some cases, towards the end of the war, was also included into the camouflage. 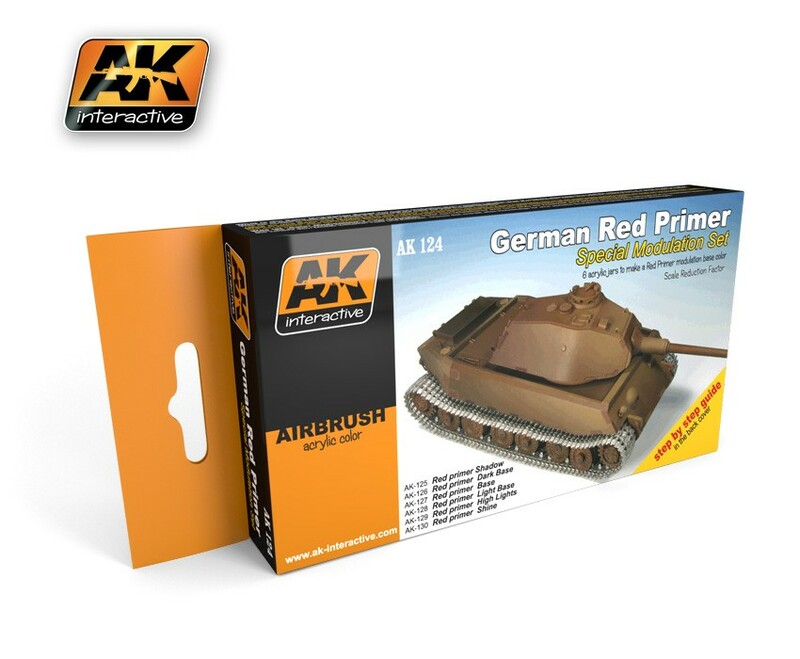 This set includes 6 colors necessary to paint vehicles in a red primer using the color modulation style, shadows and highlights with subtle variations in tones to be able to apply the modulation quickly and precisely. These acrylic colors can be thinned for airbrushing with water or for best results, use AK Interactive Acrylic Thinner. 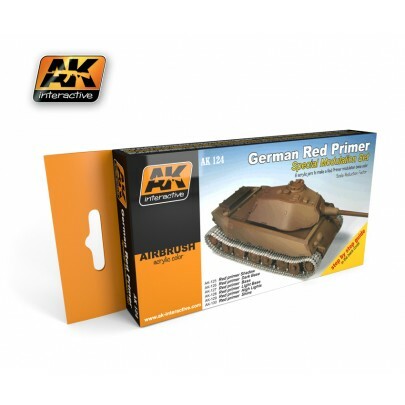 Red Primer Modulation Set German vehicles in factories or prototypes used for tests are some of the most popular themes for many modelers. These vehicles were painted in a reddish brown color that would vary depending on the factory; it served as a primer and in some cases, towards the end of the war, was also included into the camouflage. This set includes 6 colors necessary to paint vehicles in a red primer using the color modulation style, shadows and highlights with subtle variations in tones to be able to apply the modulation quickly and precisely. These acrylic colors can be thinned for airbrushing with water or for best results, use AK Interactive Acrylic Thinner.